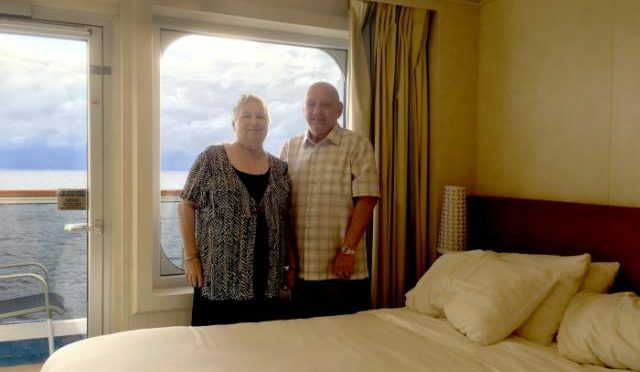 Judy and James Franklin have discovered how to happily navigate the ebb and flow of life — through 56 years of marriage, in sickness and in health, this retired couple has sailed on approximately 100 cruises. The Franklins’ first cruise, in 1972, was a splurge for James, a private first class in the Army at the time, and Judy, then a nursing student. “The installment plan was very helpful when we were starting out, but at this time in our lives, we pay the cruise off when we book it,” says James, who goes by Jim. The couple, who are based in Seminole, Fl., spends anywhere between $25,000 to $35,000 for about 6 to 10 cruises per year, depending on the length of the cruise, which can range from a week to up to about five months. Their destinations have included the Caribbean, South Pacific, South America, the Baltics, Greenland, Scotland, Ireland, and Russia. When possible, they’re accompanied by some of their three children, eight grandchildren, and eight great-grandchildren. Sandals Ochi: All-Inclusive Jamaica Beach Resort W/ Up to $1,000 Instant Credit + Up to 65% Off! Norwegian Cruise Line: Family & Friends Sail Free on Select Sailings + More Bonuses!